Bath time is an ideal moment to relax. It is also an opportunity to pray for your friends and family! 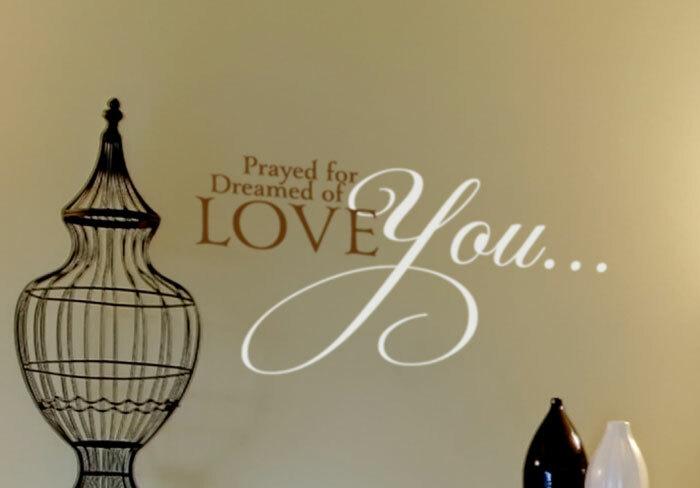 ‘Prayed for you….Dreamed of you…Love’ wall decals look great in this spacious bathroom. We applied them between the sconces and above the marble top bathroom cabinet. 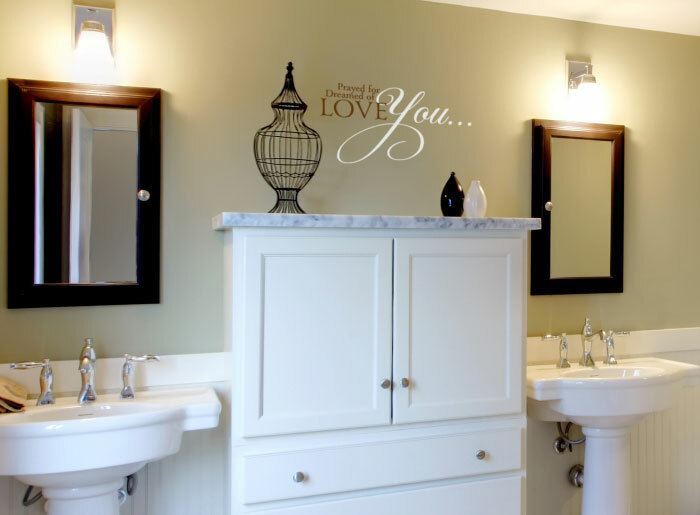 The two colored wall letters are perfect for this white and gray themed bathroom! Below them are the ‘his and hers’ hand wash sinks and mirrored cabinets. This space is created for more than one person and the wall words tie in well to this theme! They also hold their own against the stunning view outside. Friends and family using this washroom will leave much calmer than they were! There is a lot of light streaming into the bathroom. Our wall lettering is designed to handle all types of lighting! This makes it easy to see and read them even in the strong and dim light. Resin made, they are also durable and will not be affected by changes in moisture levels. 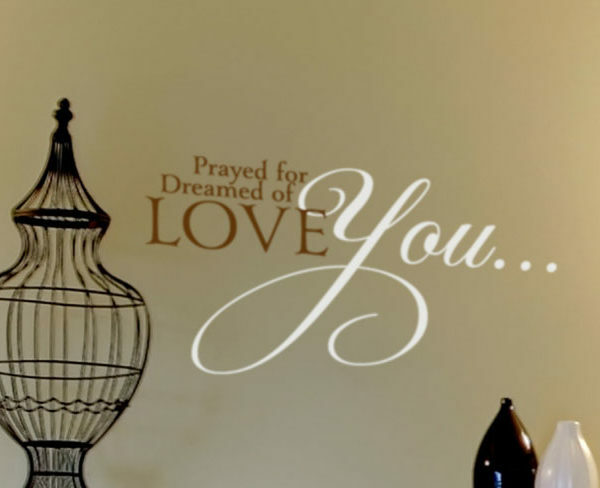 Our wall quotes are available in different colors and style which makes it easy to find something that will fit into your personal decor style! Check us out on our website and discover a new and affordable way of decorating your wall space. 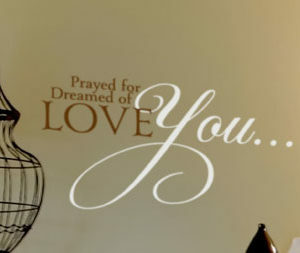 Our wall words are stylish and suitable for all the rooms in your home! 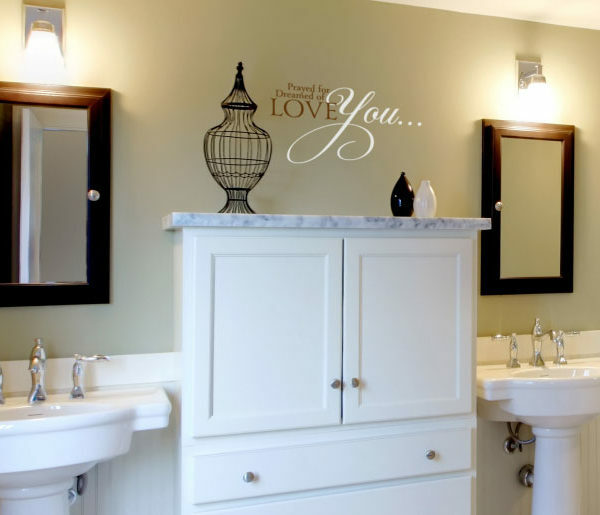 Get in touch and let us personalize your bathroom with wall letters that help build lasting bonds with friends and family!